Like any place worth living, Chicago has a healthy (err... unhealthy?) respect for fried food, but mad healthy (err... unhealthy?) 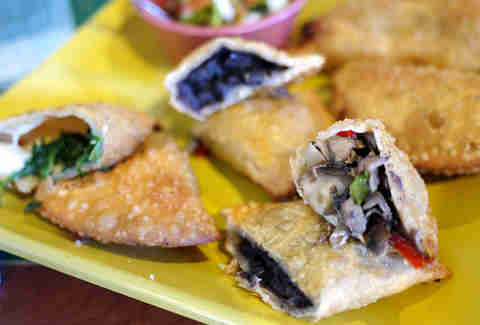 respect when that fried food is the tasty, dough-wrapped meat pocket otherwise known as an empanada. Here are the nine best ones in the city. 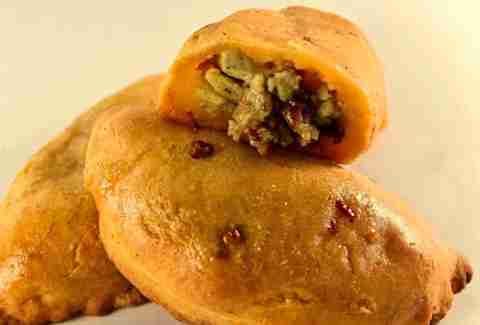 With soft, flaky dough and stuffing like the sweet and smokey bacon, date, and goat cheese, 5411's empanada is Buenos Aires-caliber. Know that you're paying for quality over quantity here (most menu items could fit in your palm), but the baked-in ingredients, like slow-braised beef in a Malbec wine or caramelized onions with Parmesan, are worth it. Here's how good Colombian food is: the owner of Lito's used to manage an auto parts factory and just made empanadas on the side. 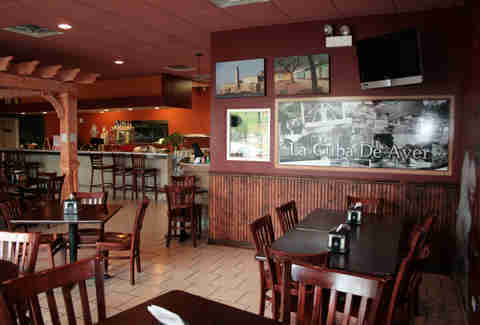 The reception from friends and family was so good, he ditched the factory and now has two shops putting out empanadas. 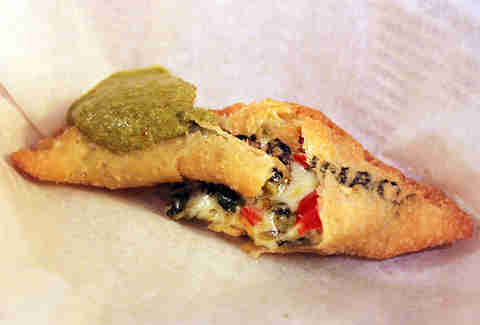 You can't go wrong with beef or BBQ chicken, but the Hawaiian empanada (ham, mozzarella, and pineapple) with their in-house green chili hot sauce is the move -- just be sure to let it cool off first, or you'll be squirted with hot pineapple juice. Before you get a cutting board serving up pork belly, ribs, and sausage, start with the Colombian grill's tapas menu with choice turnovers filled with beef, chicken, or -- the favorite -- spinach and mushrooms. Also, BYOB! Cassava’s dough subs in a tropical root plant for wheat, resulting in empanadas that are uniquely chewy and that won’t murder your one celiac friend. 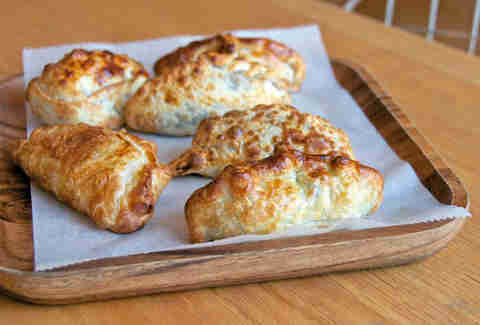 Stop into the Lakeview shop for a bacon, egg & cheese empanada, or pick up a batch at most any Whole Foods in the city. Cassava is also Chicago's only restaurant to accept Bitcoin, so... that’s good... right? This Argentinean restaurant provides sangria, live music (on weekends), and a selection of eight empanadas, each stamped with the name of their contents -- helpful in case you've had multiple sangria refills. 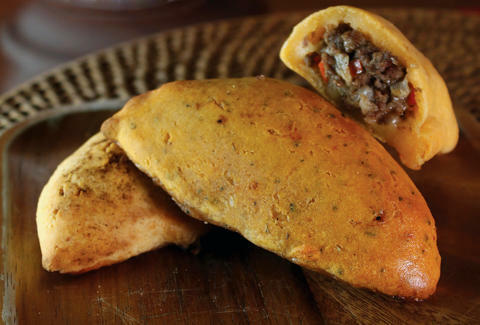 Be sure to work the Tucumana empanada into the mix -- it's stuffed with diced marinated steak, green onions, olives, egg, and spices. While on a date at Tango Sur, you may find yourself wandering off the topic of how charming and self-aware you are to how good the beef empanadas are. 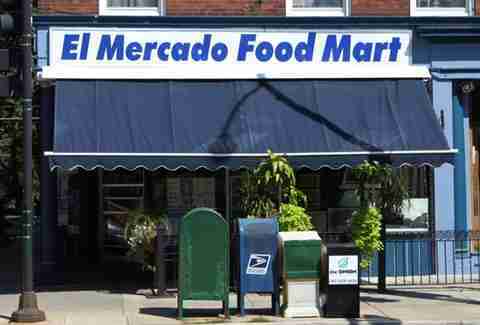 You can go directly to the source -- El Mercado's butcher shop is a feeder system for neighboring Tango Sur and Folklore in Wicker Park (and subsequently your stomach) -- and pick up a few to go with their house chimichurri sauce. 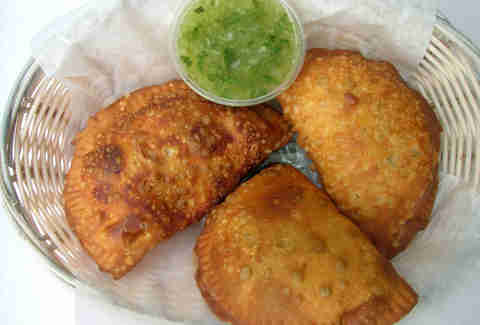 The meat turnovers with salsa verde and lime have an unbeatable price at $1. Wallet-friendliness is the Latin rotisserie's MO, with a $5 quarter chicken lunch special and a whole rotisserie chicken with potatoes, a corn pancake, and plantains for $10. When you're batch-ordering empanadas at this Costa Rican sandwich shop, toss in at least one of the standby cheese empanadas, made with flakey homemade dough, and take it down with an Aveno -- Irazu's signature oatmeal/cinnamon shake. You know that a ham sandwich at a reputable Cuban family restaurant is as good as gold, but don't sleep on Señor Pan's trio of well-packed shredded beef empanadas with chimichurri, and don't nap on the ham and cheese croquettes. Sean Cooley is Thrillist's Chicago Editor and yes, he has scalded himself attempting to deep fry his own chicken wings. Follow him @SeanCooley.